Around 100 people enjoyed the sights, sounds and tastes of the Caribbean during an event to bring sunshine to the lives of East Lancashire Hospice patients, their friends and family. 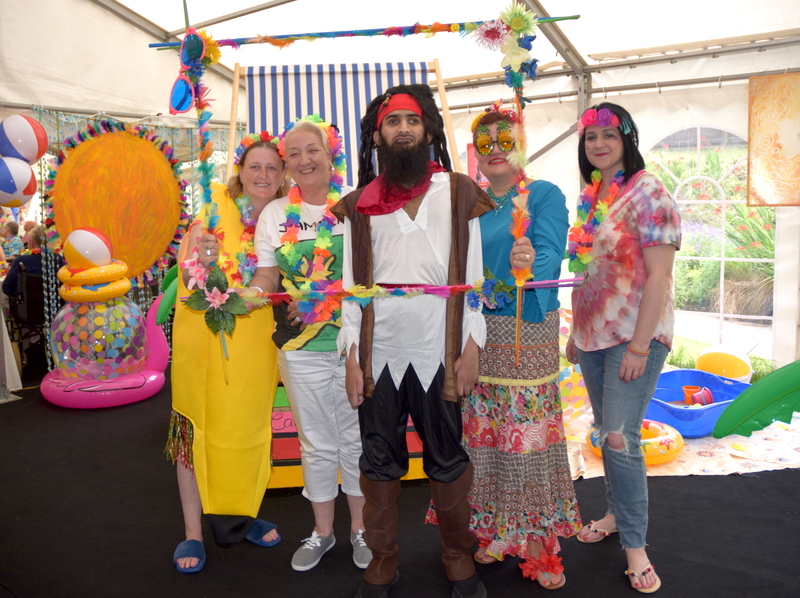 The tropical themed Caribbean Delights party was hosted by the hospice’s Creative and Support Therapy (CAST) team which provides holistic therapeutic activities designed to improve wellbeing. The marquee where the event was hosted was filled with streamers and other brightly coloured decorations made by CAST patients, as well as a range of games including hook-a-duck, giant Jenga and giant connect four. 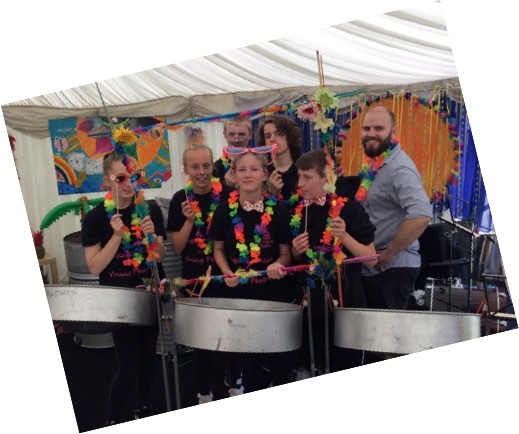 Blackburn with Darwen Steel band brought a taste of the tropical to the marquee, thanks to the generosity of a London businessman who paid for the band after a Twitter appeal. Guests enjoyed an array of fruit, snacks, fruit juices and cocktails while guests took photographs by a giant deck-chair which was on loan to the hospice in memory of community champion Evonne Harwood, co-owner of the Pink Magpie Vintage Emporium in Accrington, a keen supporter of the hospice who passed away on April 22. Louise Duxbury, Creative Therapy Assistant at the hospice said: “Last year we held an afternoon tea party and decided that we would run an annual event for our CAST members. We came up with the theme of the Caribbean as we wanted something that would be colourful and bring some sunshine into people’s lives. Anne Dobson, 65 from Blackburn who started attending the hospice after being diagnosed with breast cancer, said: “I’ve had a fantastic time, it was really good fun. I can’t thank the hospice enough for putting this event on. Wasim Khan, 28, from Blackburn, started coming to the hospice in March 2015 after being diagnosed with motor neurone disease in 2014, he said: “The afternoon was very enjoyable, they thought of everything. The idea of the Caribbean theme was great and everyone really enjoyed themselves. I can’t get out and about much so events like this mean a lot to me." The marquee was filled with colour and excitement – including a photo booth and array of inflatables to set the scene of a Caribbean beach hut. The tassels, pom poms, and large sunshine’s were all made by the members of CAST and some were donated. The Steel Band was tutored and lead by Ash Hogg, who gave up his time to arrange for all the children to get to the hospice and perform. The fruit table was designed by Saeed, who donated her time, and Tesco helped to fill the table with a tropical array of fruit. The cakes were made and donated by local business Lisa O’Cakesions, who made 111 cakes for the occasion.